The Film and Media major is devoted to the interdisciplinary study of film, television and new media. Courses focus on the histories and theories of cinematic, electronic and digital media in addition to providing the opportunity for practical experience in film/media production. Students work closely with faculty members to devise an optimum program of study integrating creative and collaborative thinking. This liberal arts approach to film, television and new media provides the student with the necessary skills and knowledge to adapt to the changing media environment of the 21st century. Interested in earning a B.A. in Film and Media? Earn a 2.5 grade-point average in all Area F FLME courses. This GPA will be calculated based on the first attempt at these FLME courses at Georgia State. WF counts as an attempt. Transfer students who transfer these courses into Georgia State, may use the grades in the transferred courses to calculate the GPA or they may attempt them once at Georgia State. 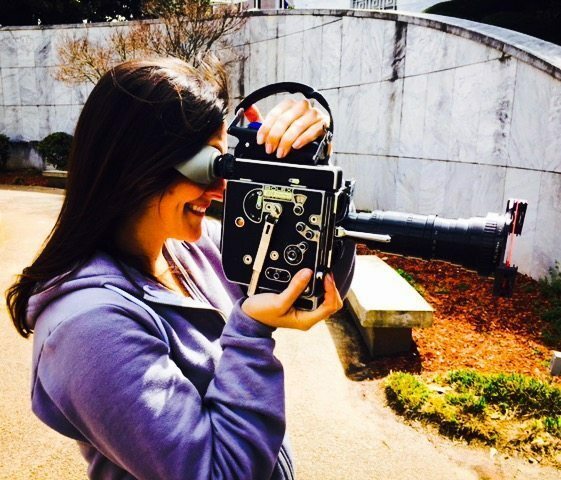 Once a student is eligible to take 3000-4000 Film and Media courses, he or she remains eligible to take them as long as he or she are eligible to enroll at Georgia State. Visit the Georgia State University Career Site. In addition to the major eligibility requirements for Film and Media, students must fulfill the College of the Arts degree requirements (see section 10030) and the University degree requirements (see section 1400).